Get a FREE Quote for a Local Plumber! WC Plumbing, Showers, Repair & Maintenance and more! Need some plumbing work doing around your home or office. Get a free and fast quote from local plumbers by using the form above. No job is too small or too big for our plumbers. No matter if you are just looking to price a job up or need someone straight away our no obligation quoting service is the best place to start. By getting multiple quotes at once you can save time and money. Get quotes for general plumbing, boiler repairs, bathroom installation, sprinkler systems installation and more. Save time and money when looking for a plumber. With My Job Quote you can get FREE quotes from a number of local plumbers simply by filling in our form below. All plumbing Quotes are obligation free so if you don't get a quote you like the first time you can always look for more. You will get up to 3 quotes for your job, which you can then use to select which plumber you think is right for the job. Simply provide us with a description and location and we will contact our tradesmen on your behalf to get you the best quotes. Once you're happy with the quote, the tradesmen can start work straight away. Plumbers are tradespeople who specialise in installing and maintaining systems used for water, sewage, and drainage in plumbing systems. The term dates from ancient times, and is derived from the Latin word for lead, "plumbum." (Pb on the periodic table of the elements). In Roman times lead was used in conduits, drain pipes, piping and for making baths! Today plumbers carry out a variety of jobs including installing and repairing water supplies, heating systems and drainage; servicing gas and oil-fired central heating systems, boilers and radiators; servicing air-conditioning and ventilation units; fitting weather-proof materials, joints and flashings to roofs, chimneys and walls; installing and fixing domestic appliances including showers, dishwashers and washing machines. Typical plumbers offer much more than just emergency services if you have a water leak, they provide a wide range of repair and maintenance services and contrary to popular belief, with most reputable plumbers there are no call out charges. Typically local plumbers will provide general plumbing services including kitchen and bathroom, maintenance services for Megaflo / Powerflushing / Magnaclean products, radiator maintenance and replacement, plus complete central heating installation and repairs. 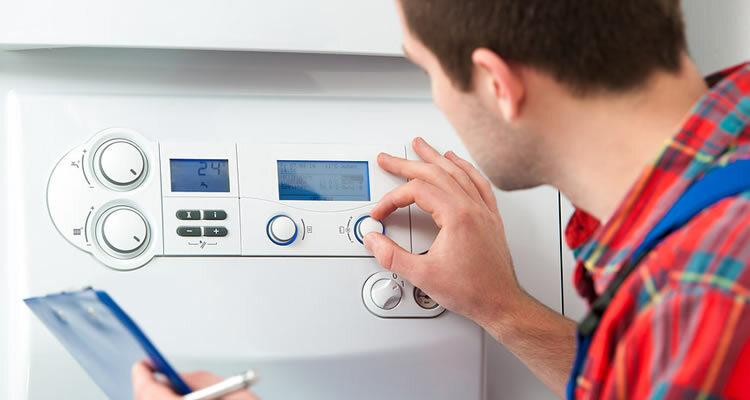 All reputable plumbers will carry Gas Safety Certifications and will offer a full range of plumbing repair & maintenance services, able to tackle bathroom, kitchen & wc plumbing jobs along with maintenance and repair of your water tanks & immersion heater. There are many different types of showers available, such as pumped showers, electric showers and, power showers, with the three most common types of shower in the UK being pumped, instantaneous electric and the traditional bath shower mixer tap. Power showers are the most popular upgrade and the name simply refers to any shower that is in some way pumped. Power showers require tank fed cold and hot water supplies and particular attention needs to be given on the hot supply pipe work side to insure there is no ingress of air into the pump. Power showers are available from many different different manufactures, but these can be fitted by any professional plumber in your area with no warranty problems. Immersion heaters, otherwise known as electric water heater or hot water cylinders, effectively function as water heaters and hot water storage systems. They are very energy efficient as all heat is generated in the water in your tank, using electric elements and one or more hot water heat exchanges. These electric elements and heat exchangers heat the water to be used for hot water in the home as efficiently as possible. If water is pre heated using an immersion heater or condensing gas boiler, then there is no heating required in the shower system, merely a mixing of hot and cold water to regulate temperature. Some plumbers specialise in the design, install and maintenance of sprinkler systems into new properties and properties that are being upgraded or renovated. plumbers in this market can offer the services of designing, installing and commissioning sprinkler systems carried out to BS 9251. They can also carry out the yearly checks that are a requirement for fire safety sprinkler systems to meet current regulations. At the moment many commercial properties are required to install sprinklers such as residential care homes, hostels, some social housing and similar properties. However residential sprinklers save lives too and these sprinklers systems are extremely beneficial and help prevent fire deaths in the UK. Fires detected early can be put out using a small amount of water, but if a fire is left to grow, then can become unmanageable within 2 to 3 minutes. "Excellent work carried out by the engineer. The boiler was a little tricky as I had bought the heating and hot water Hive, but he managed to complete the work with little problem. I would likely call them back for any future heati..."
"They were very good at their job and gave me an excellent service. Importantly, they kept to their word. I would employ them again, if necessary, for another job." "I am very please with his service"
"On time and fixed the issue. Not expensive and answer all my questions." "very polite, and high standard work. i have also used again to plumb in whole bathroom and will be getting him to do any other plumbing jobs i need.i would highly recommend to friends and family and anyone needing plumber"
"I have had Paul back because we had some issues with one of the panels and he is coming back to rectify the problem." "The service was very efficient and they took care of us by following with a phone call after to confirm if the system was working"
"Excellent - Professional job completed, arrived on time very friendly polite & efficient. I would highly recommend Rhys." "Excellent worker and very professional. Very reasonable price for the materials and the work carried out. Very highly recommended."